Access to Business, Wolverhampton based Charity and SWEDA (Skills Work and Enterprise Development Agency), Charity based in Sandwell are proud to launch their new ‘RAISE – Raising Aspirations, Inspiring Self-Employment and Social Enterprise’ project. The 2016-2018 project funded by the ERDF (European Regional Development Fund) delivers support to entrepreneurs in the Black Country to set up and run their businesses, specifically targeting new and early stage entrepreneurs from underrepresented groups including women, BME communities and disabled people. By reducing barriers to business/social enterprise start-up and self-employment RAISE aims to enable local entrepreneurs to thrive; injecting enterprise into the grass roots of local communities and supporting employment growth across our region. RAISE builds on the previous successful SEED (Supporting Employment and Enterprise Development) project delivered in partnership between Access to Business and SWEDA during 2012-2015, which supported 1445 people resulting in 155 businesses and created in the Black Country providing employment for nearly 200 people. Access to Business and SWEDA deliver FREE business workshops, business networking, events, Business Club drop-in sessions as well as access to office services, including meeting rooms and incubation space. Our qualified advisors provide individually tailored advice and support to enable entrepreneurs and business owners to achieve business goals, overcome challenges and turn their business into a bigger success. 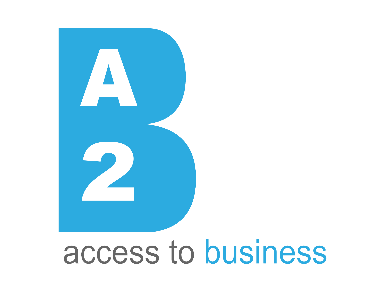 If you are thinking of becoming self-employed and or already have an existing businesses but need support to develop and grow, contact Access to Business on 01902 572397 or SWEDA on 0121 525 2558 to access our support programmes. If you wish to find out more about services available sign up for one of our Self Employment Information sessions which run weekly at both organisations.